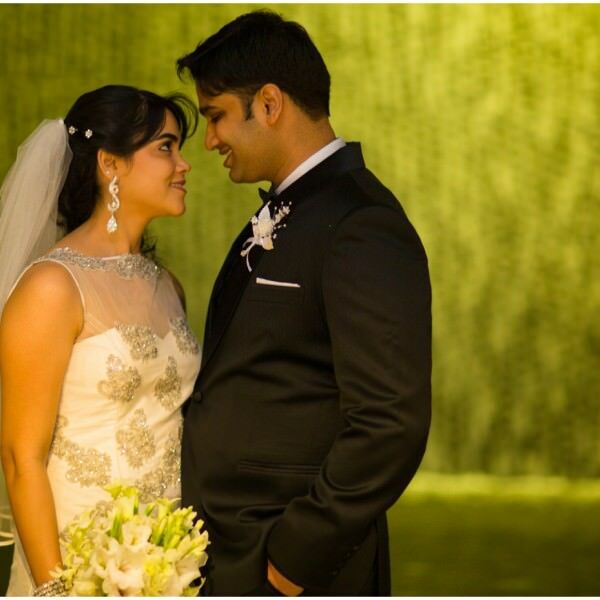 A year back I happened to talk to this girl who was soft spoken with a sweet alluring voice. 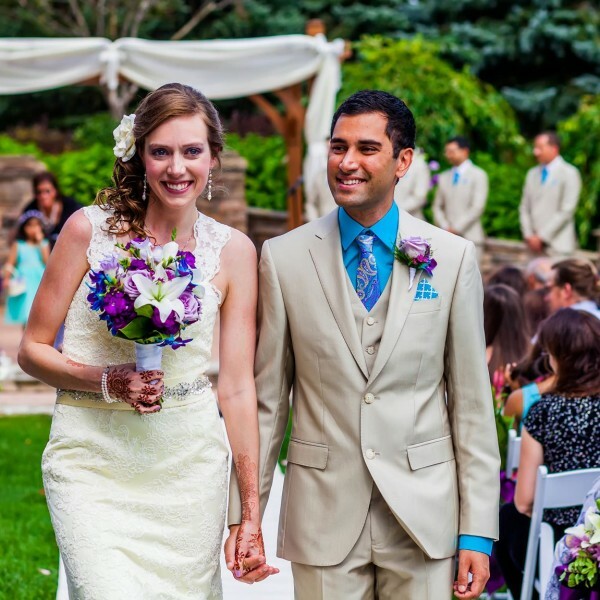 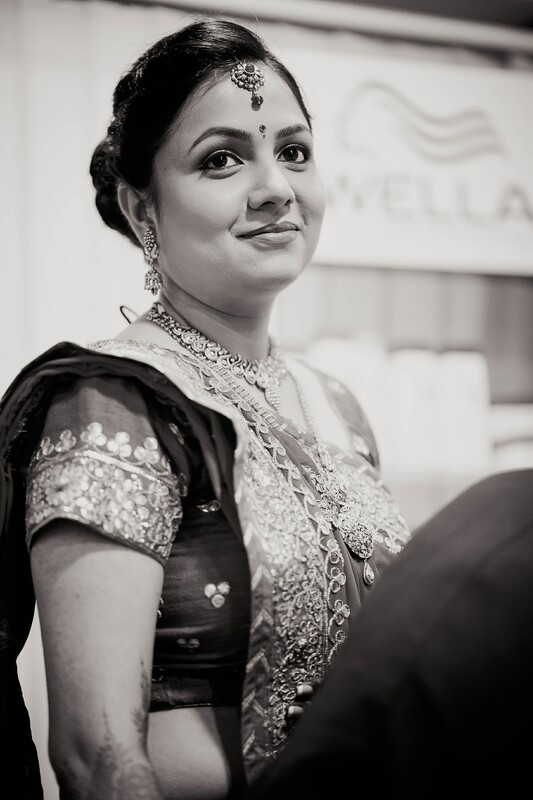 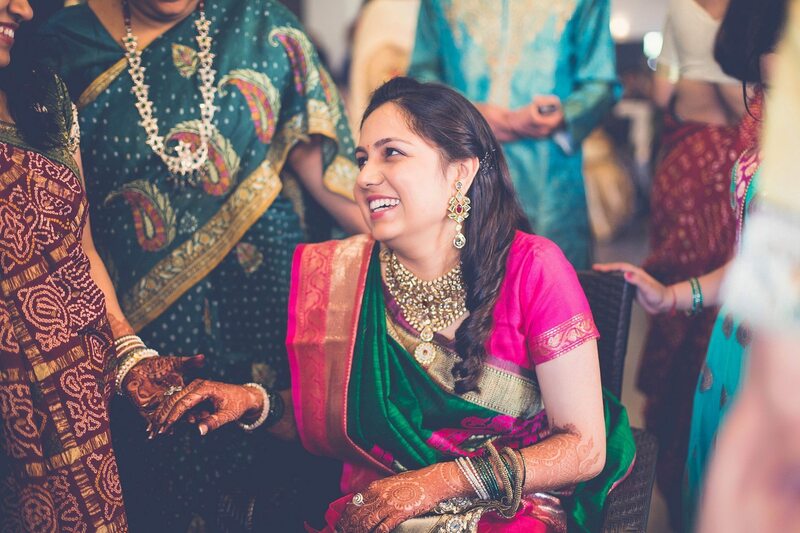 A Philadelphia girl who was getting married to her dream guy in Vadodara, India. 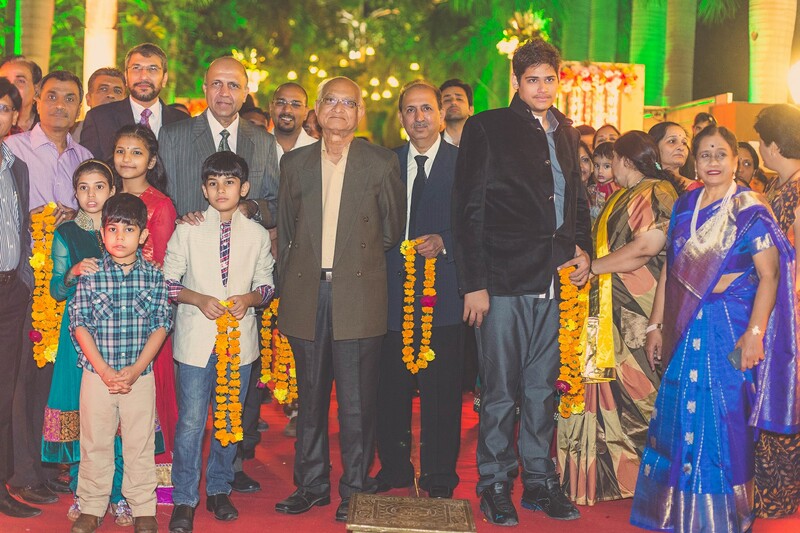 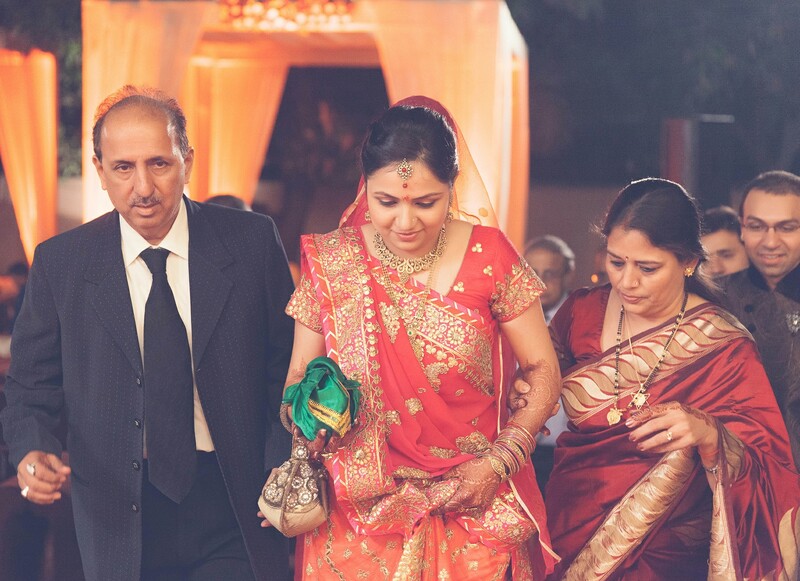 Anandi & Nayan’s Vadodara wedding was my first of the wedding season 2013-14. 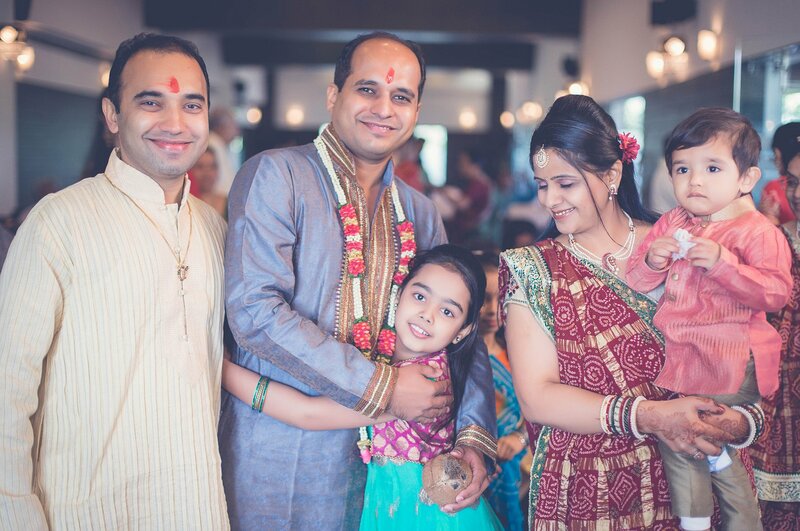 Kabir Farms on the outskirts of Vadodara was an ideal destination. 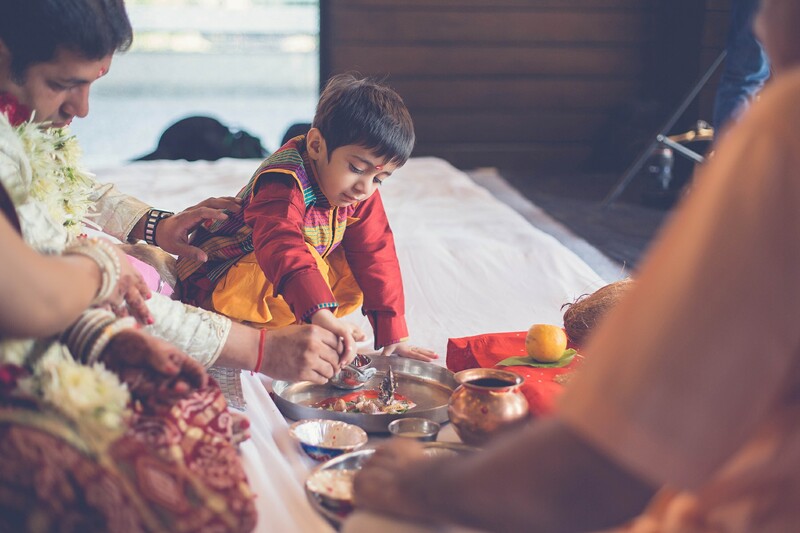 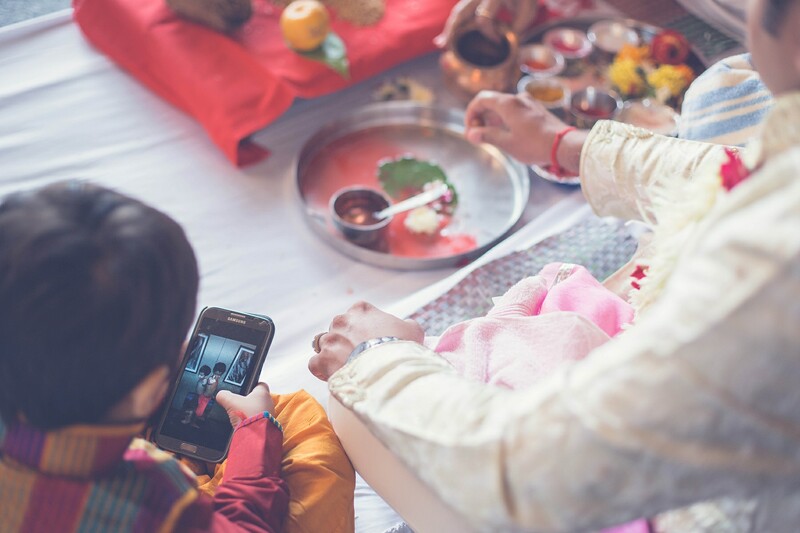 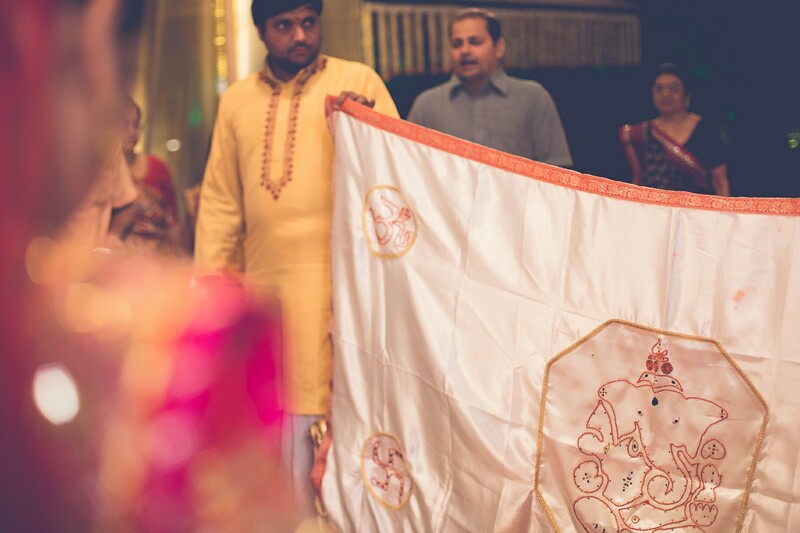 The festivities began with the Ganesh Puja, Chundadi Ceremony and the Pheras. 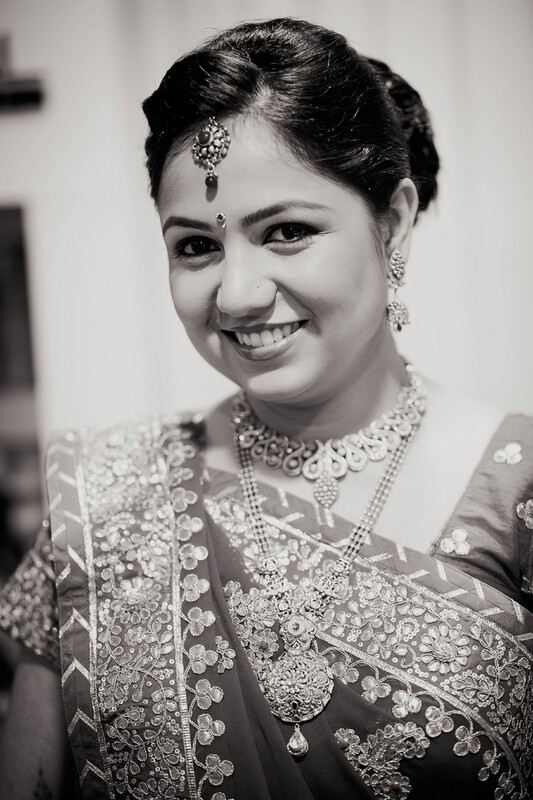 Anandi as I had visualized was a very sweet, pretty, cute and polite. 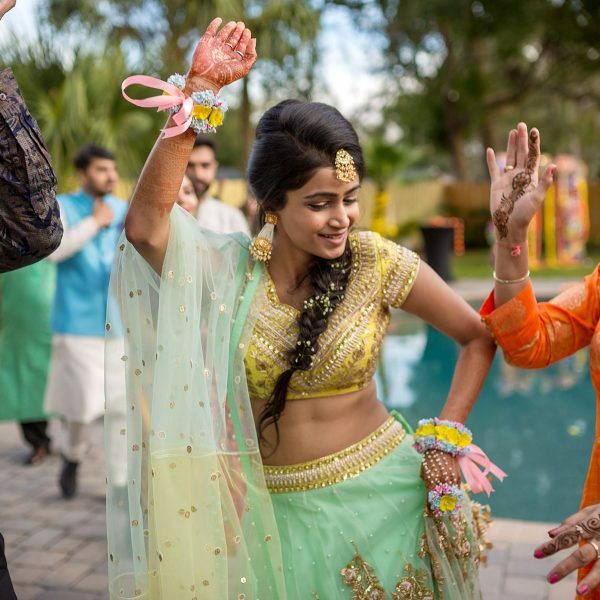 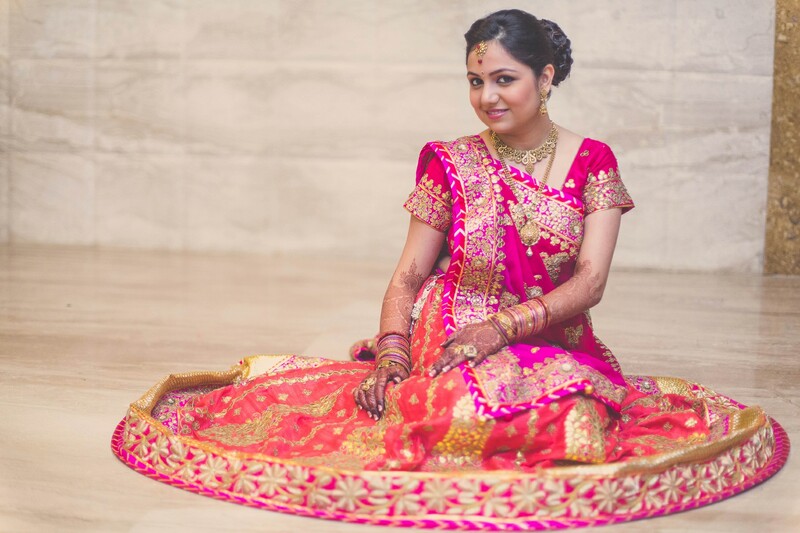 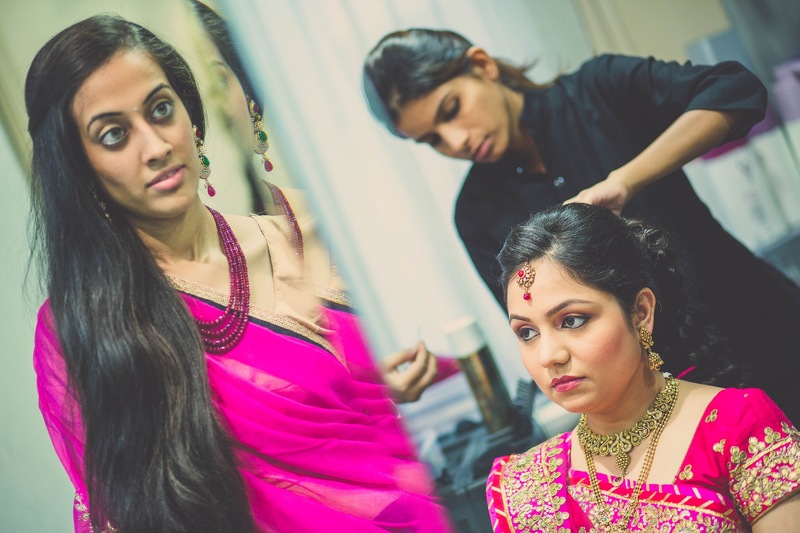 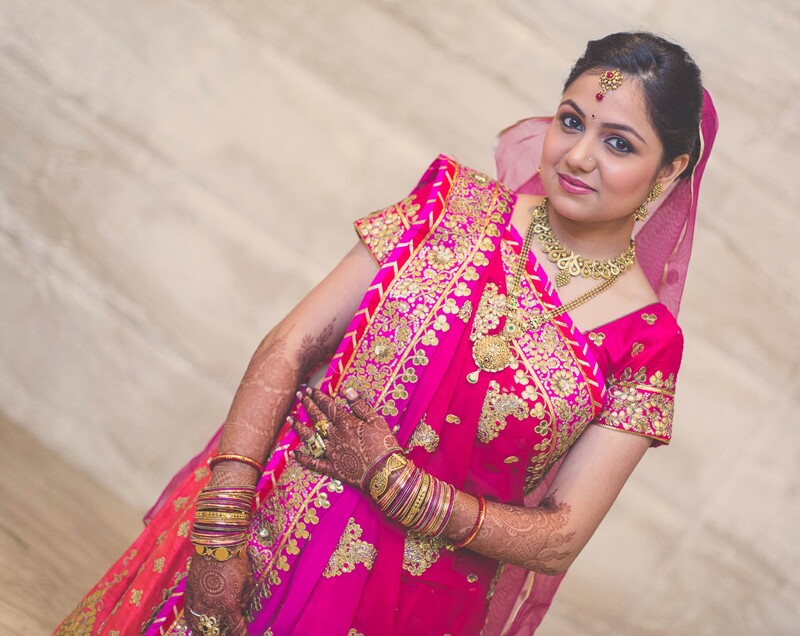 She made a beautiful bride in a vibrant pink-orange lehenga with gotta work (Rajasthani work). 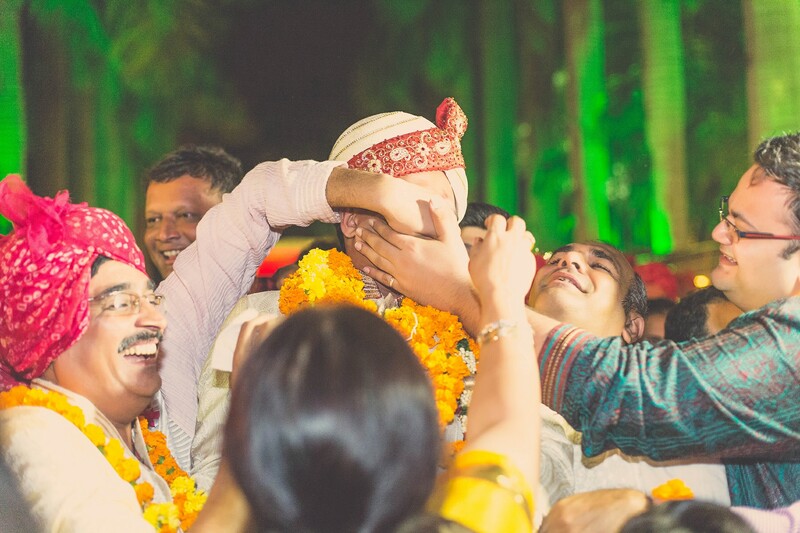 The moment I enjoyed the most was when the grooms men were protecting his nose being pulled by his mother-in-law at the entrance. 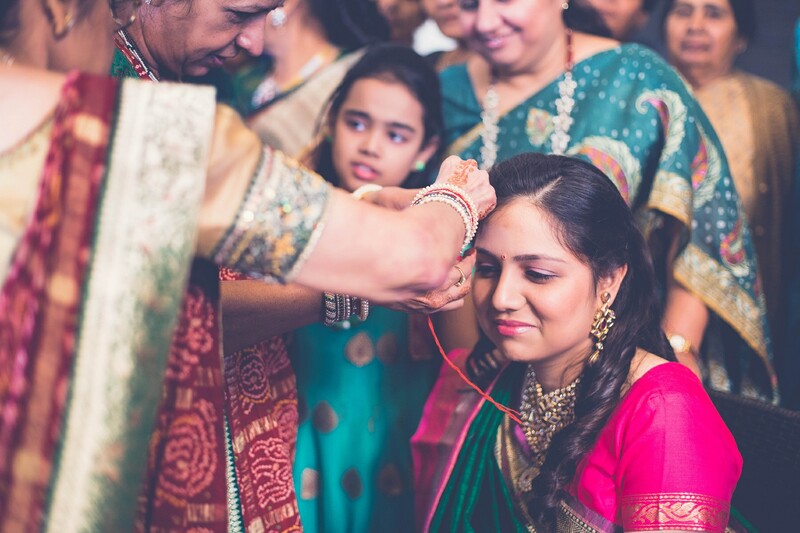 It took 10 minutes for the bride’s mother just to convince them to apply a Tilka on the groom’s forehead. 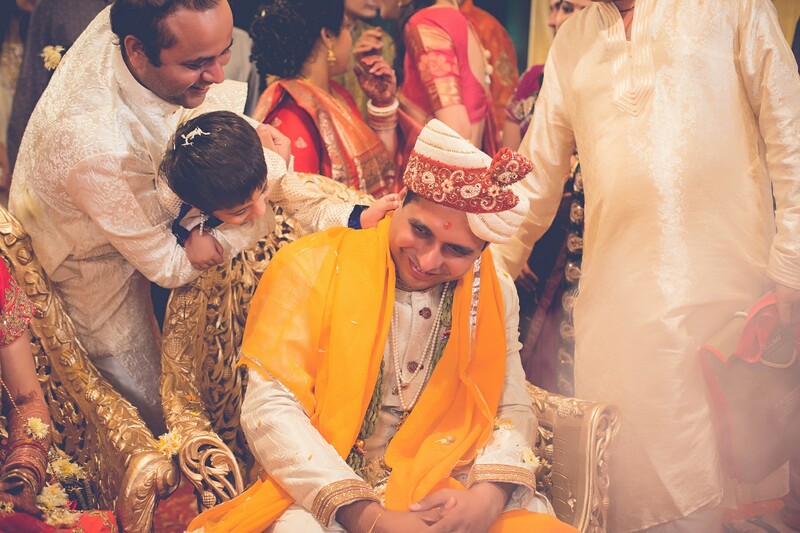 After this how could the bride’s family let him in the mandap so easily! 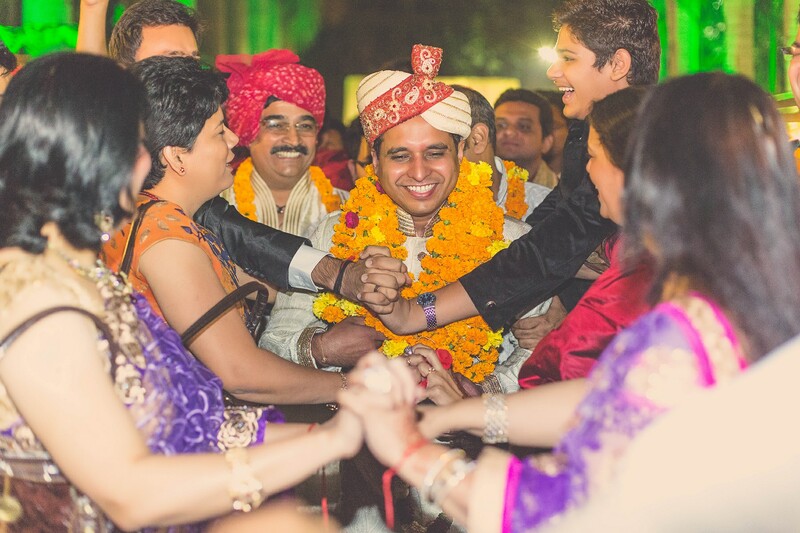 He had to pass through all the obstacles of the hand bridge by the bride’s family. 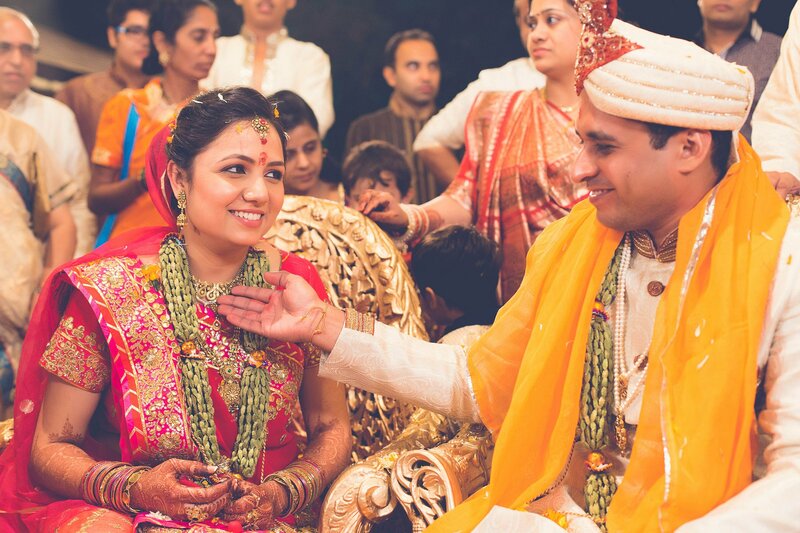 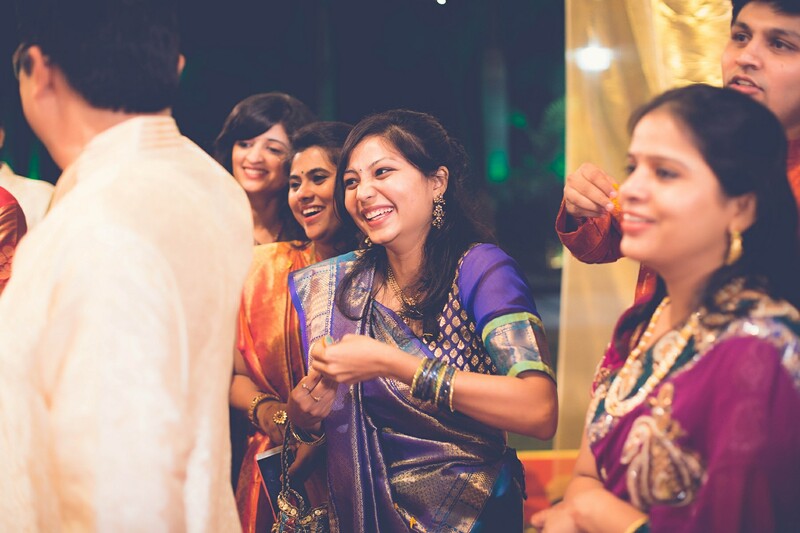 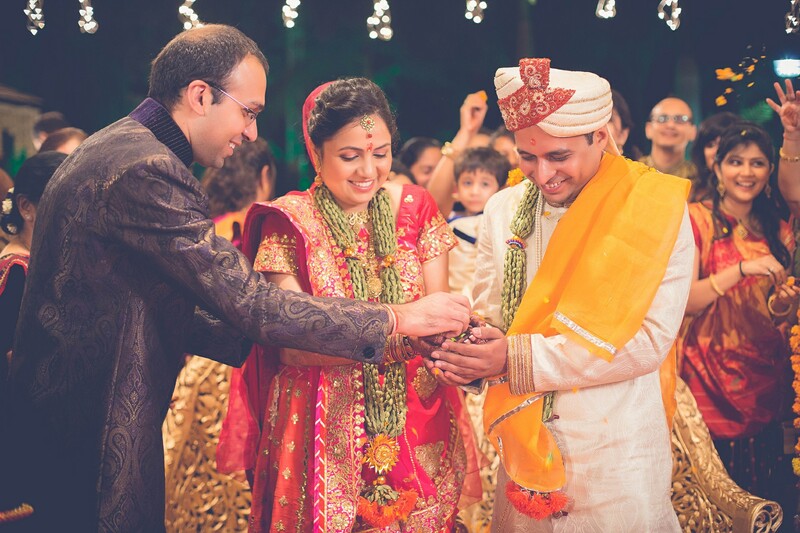 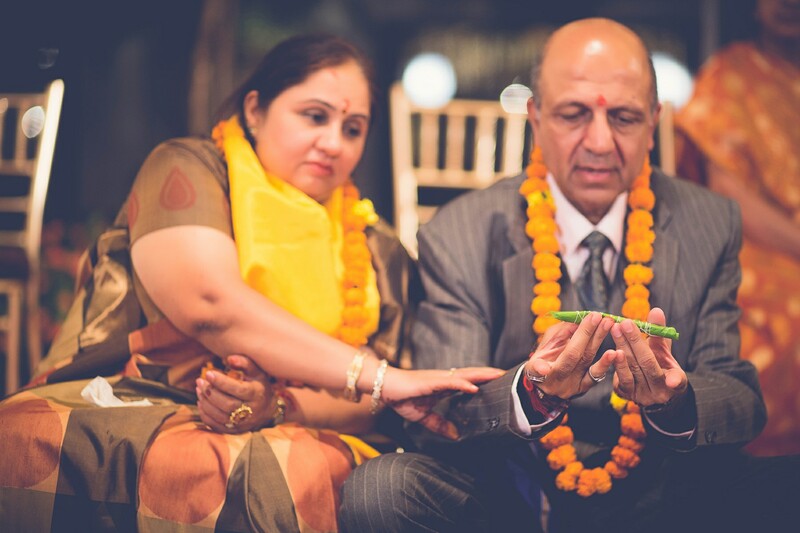 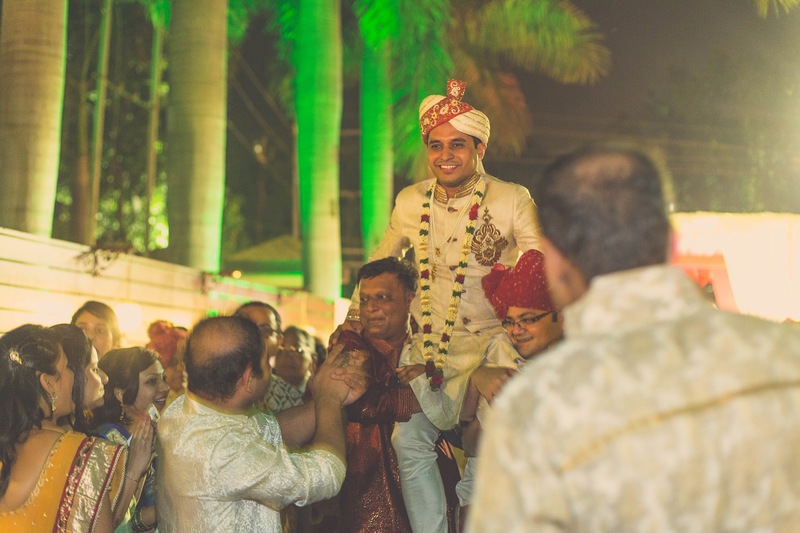 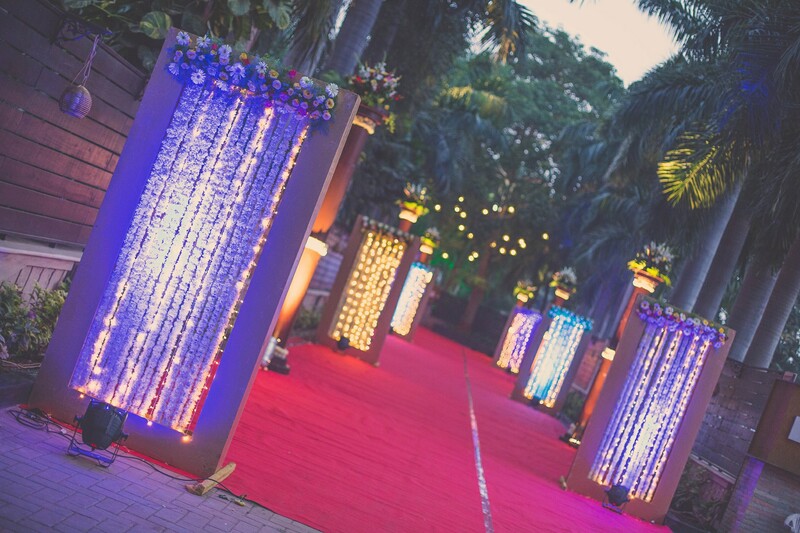 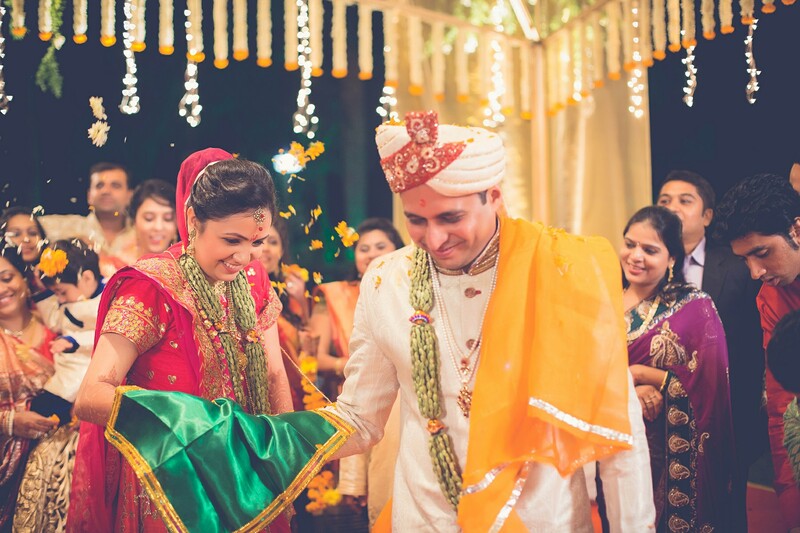 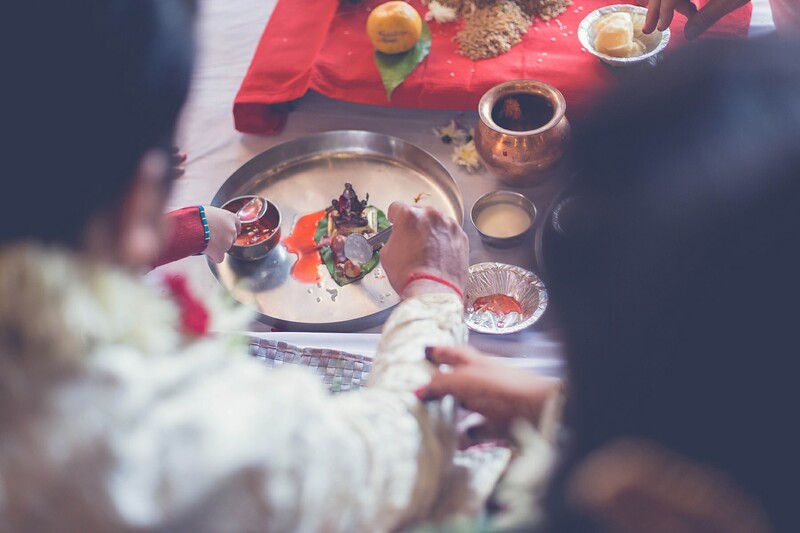 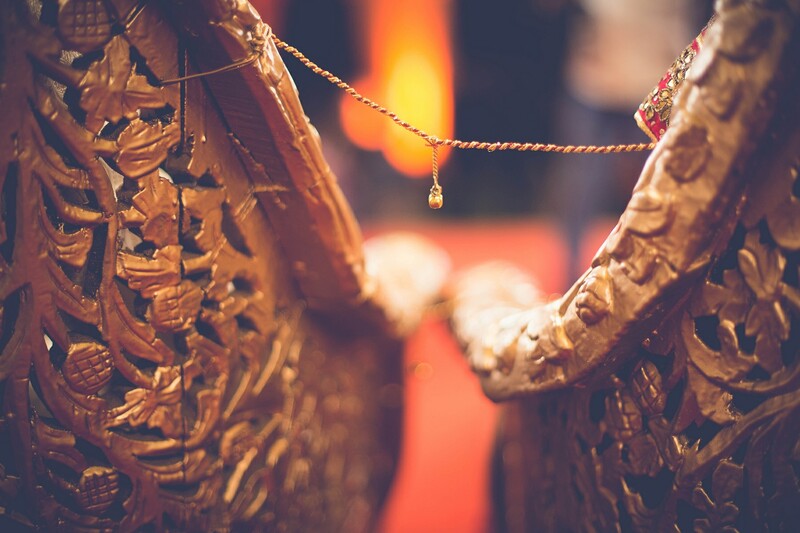 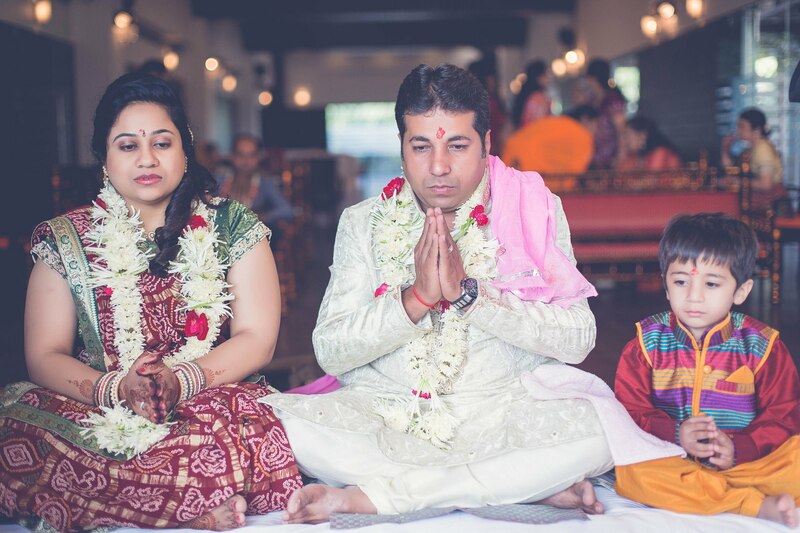 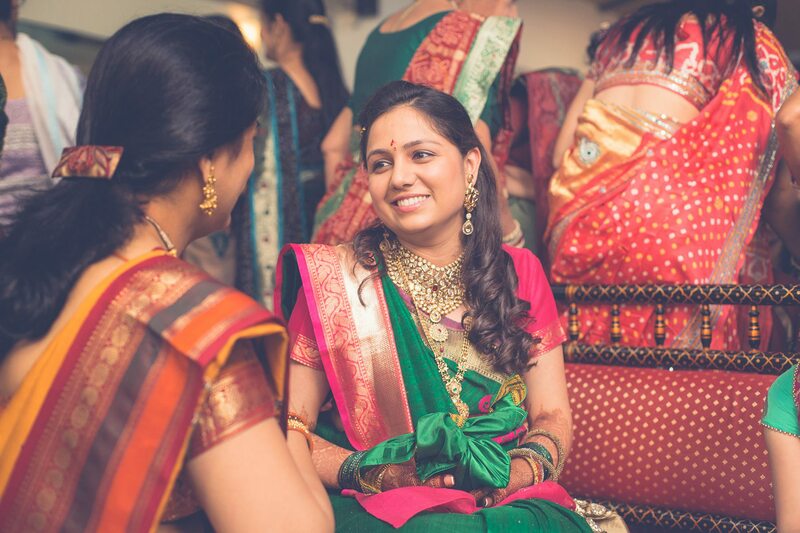 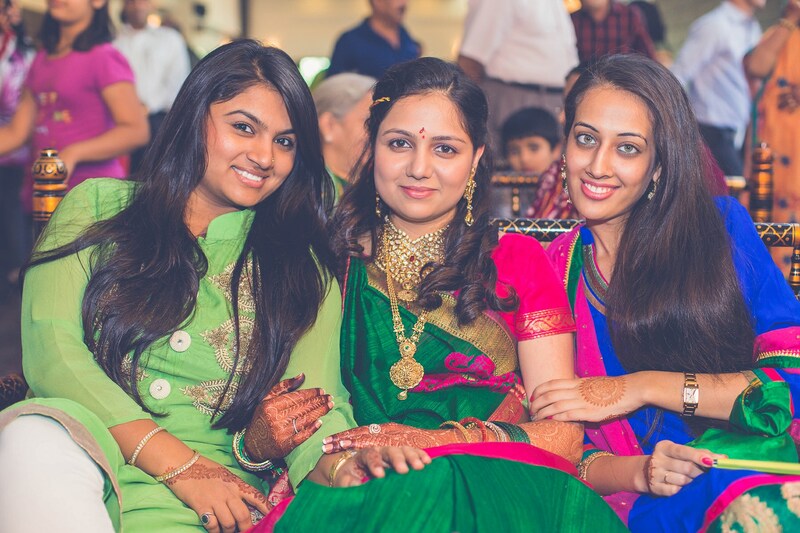 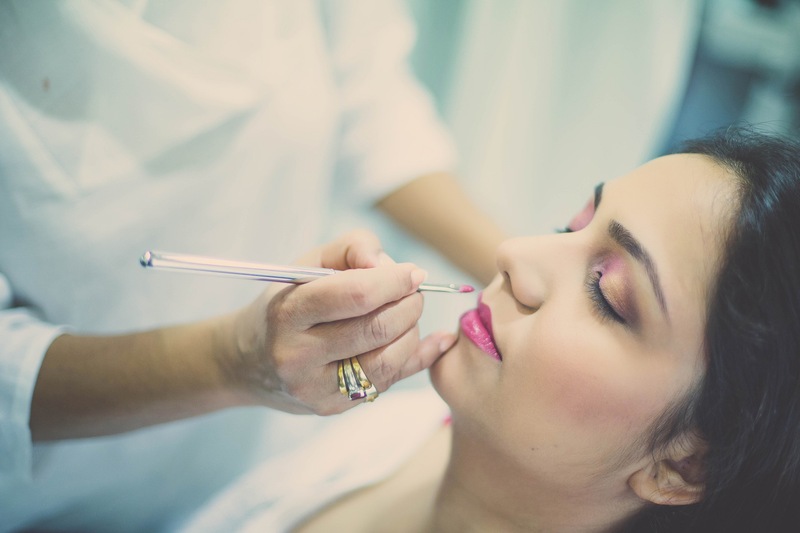 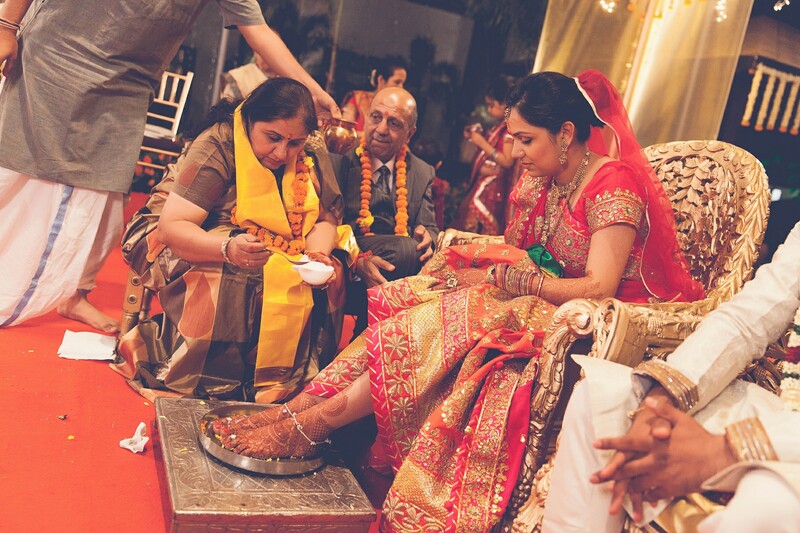 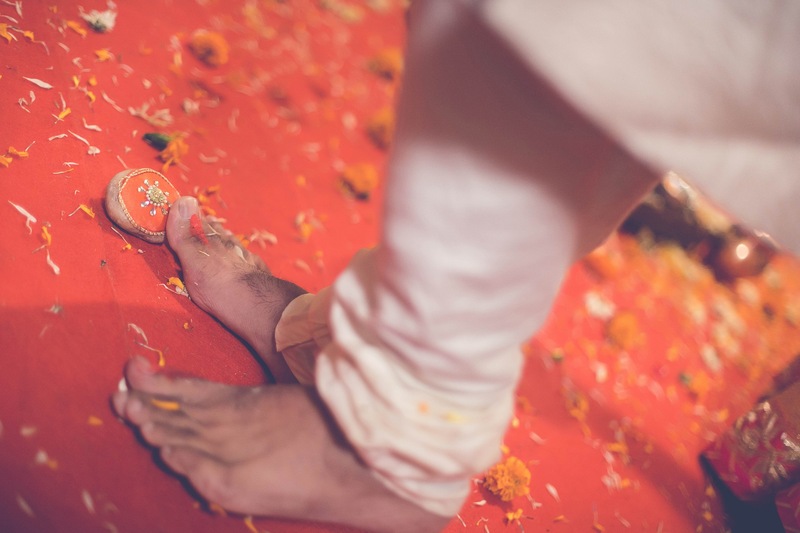 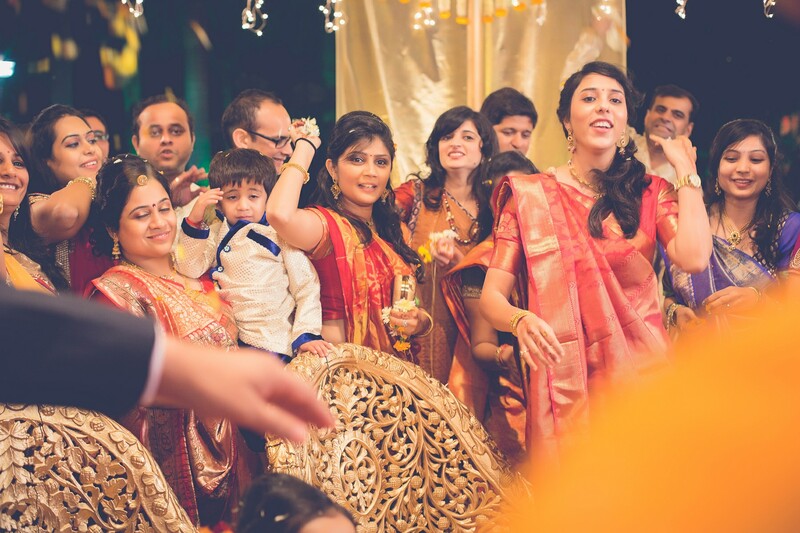 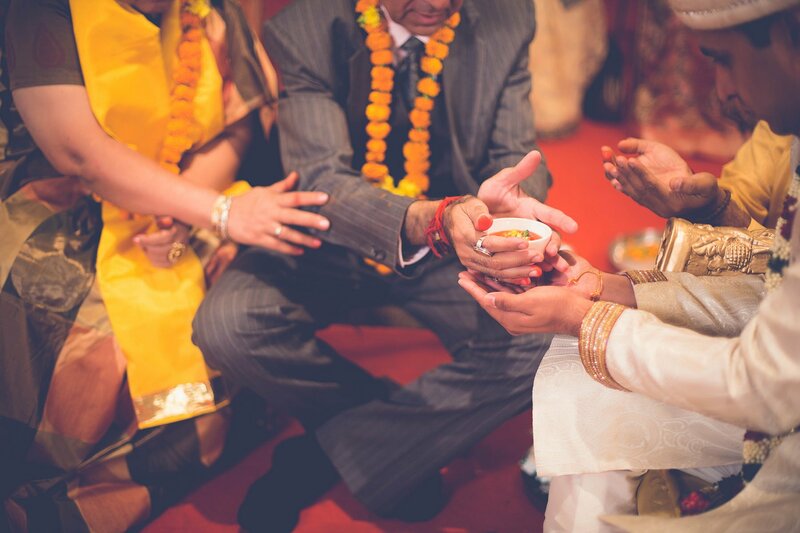 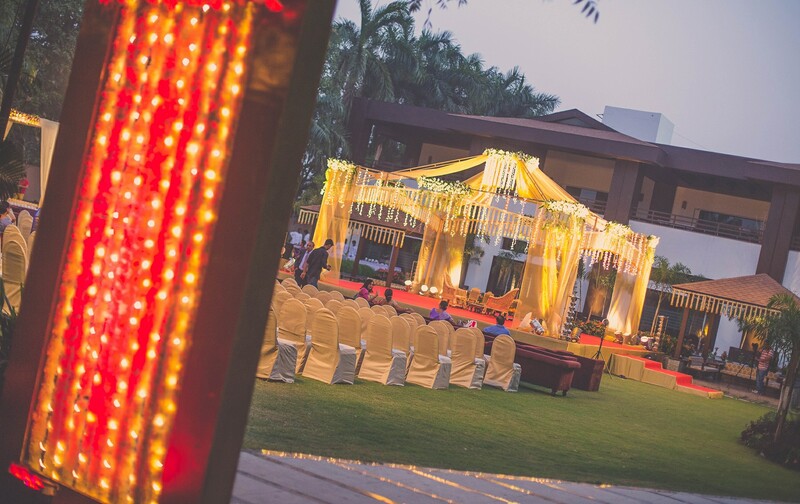 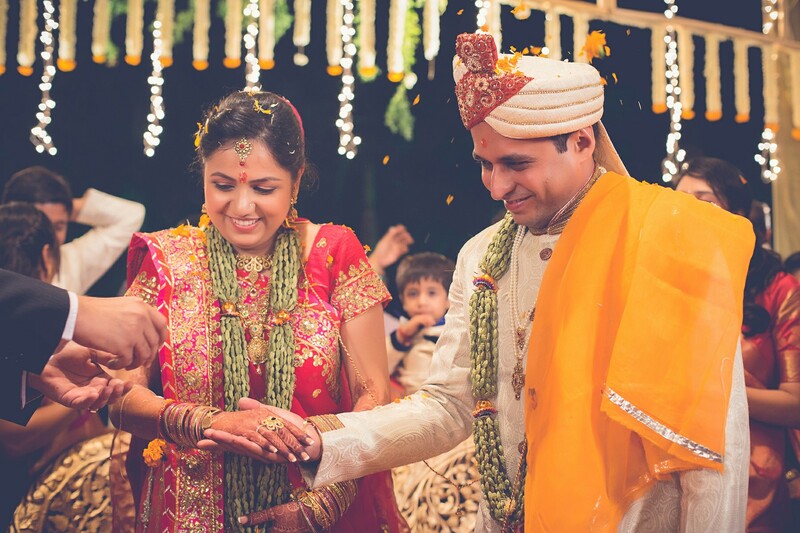 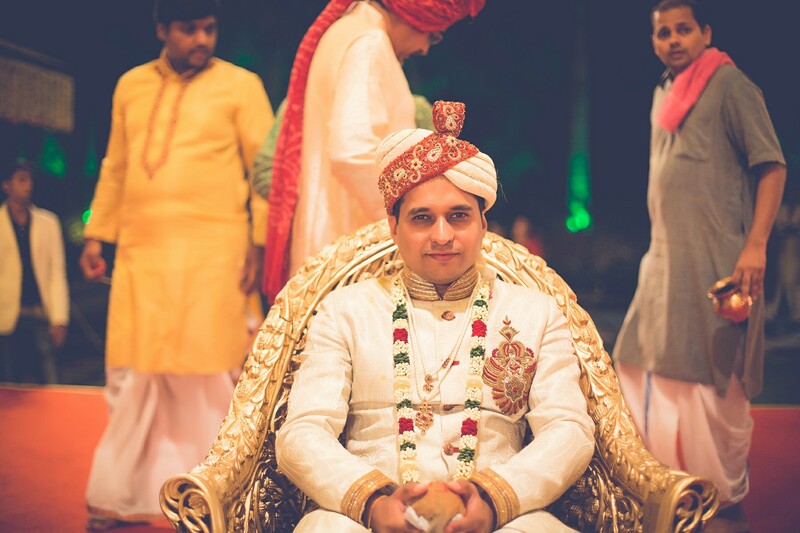 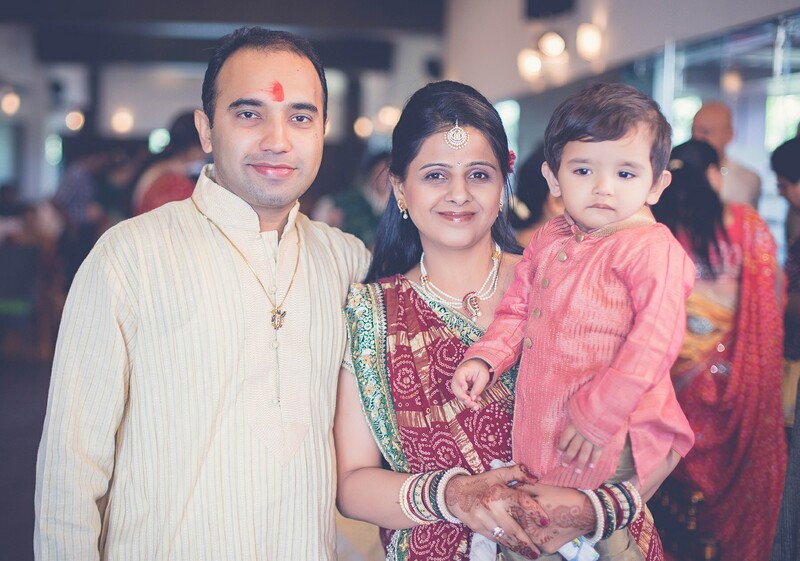 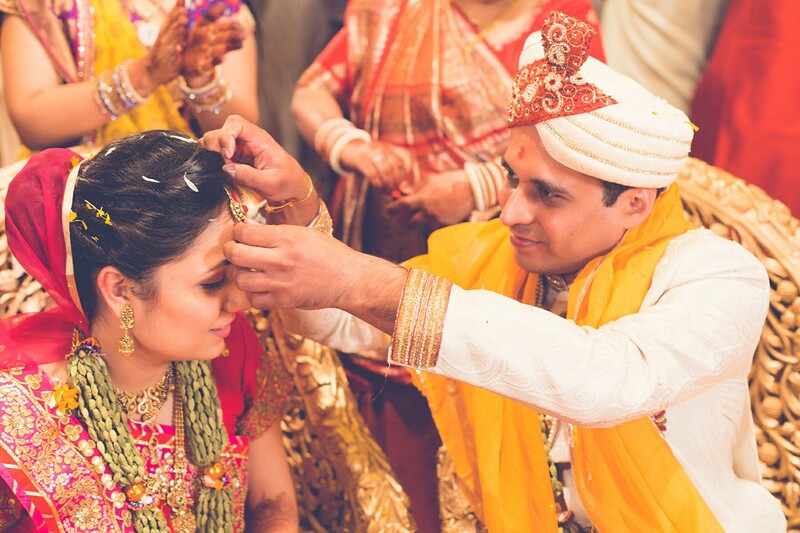 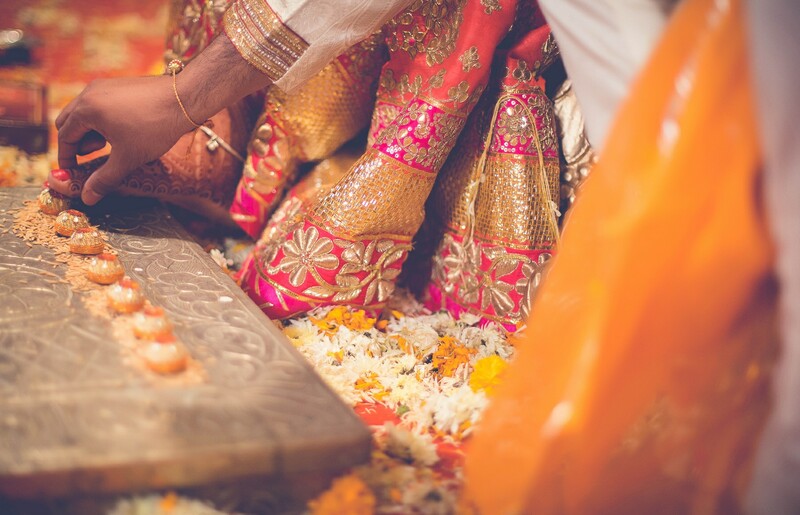 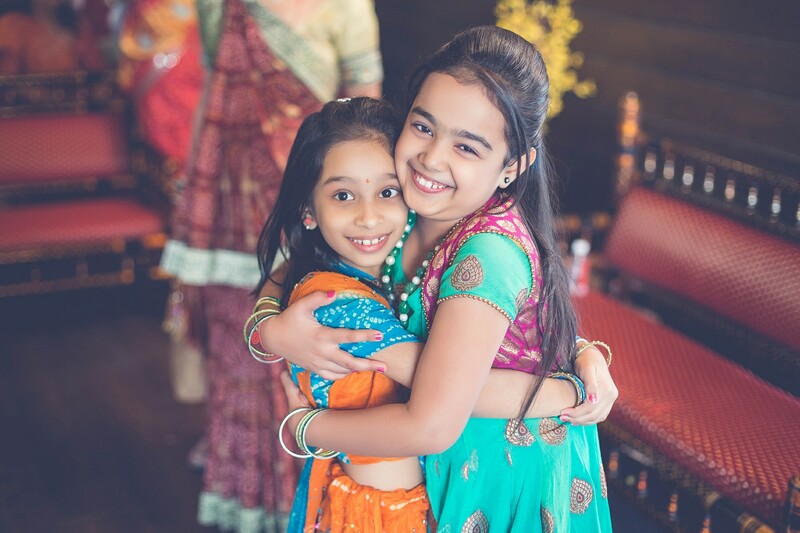 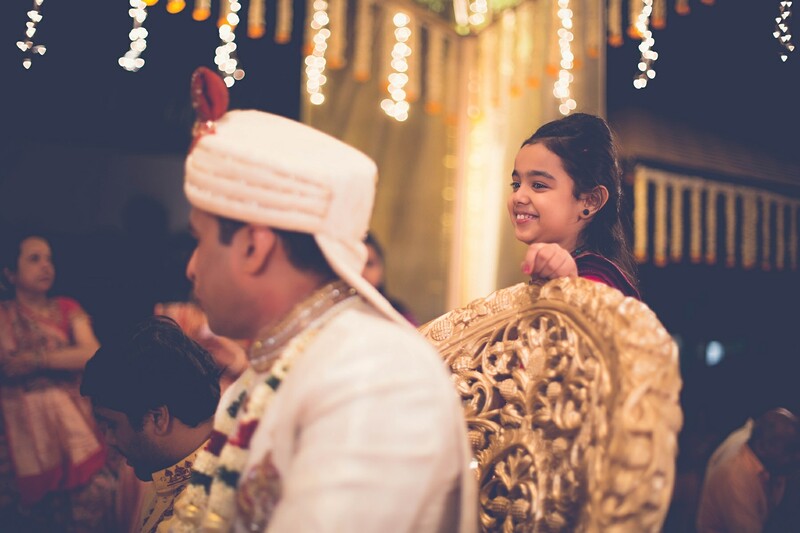 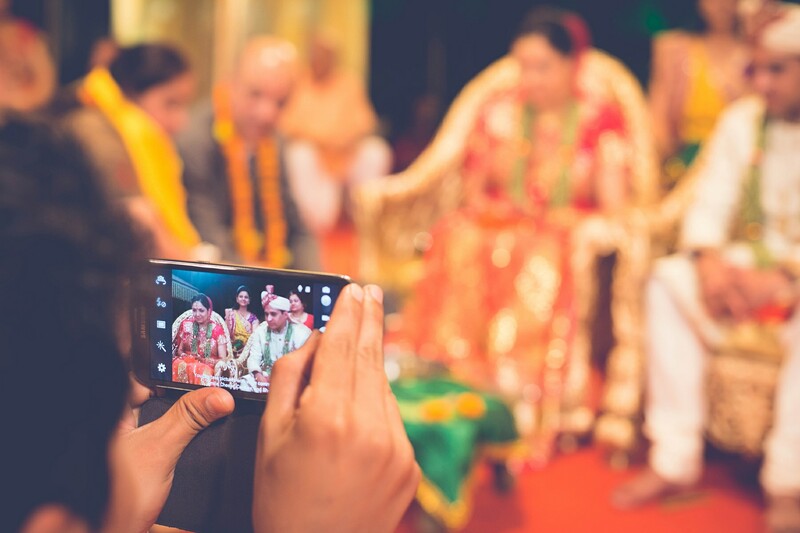 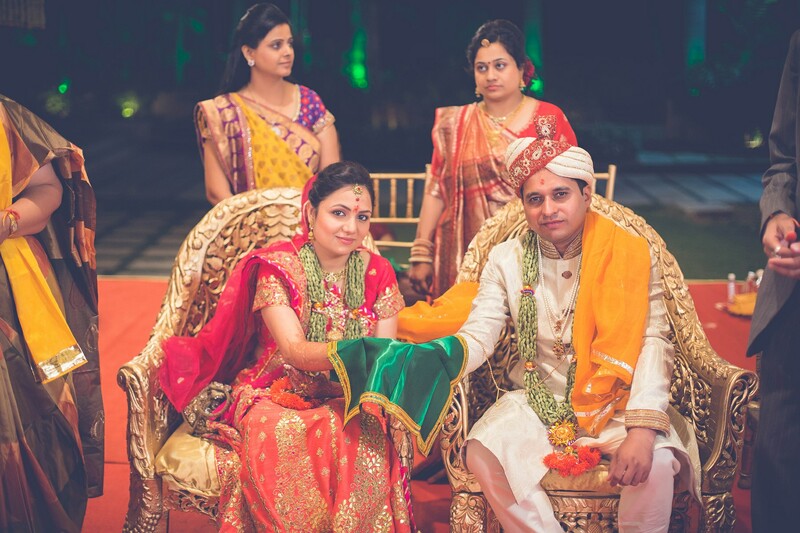 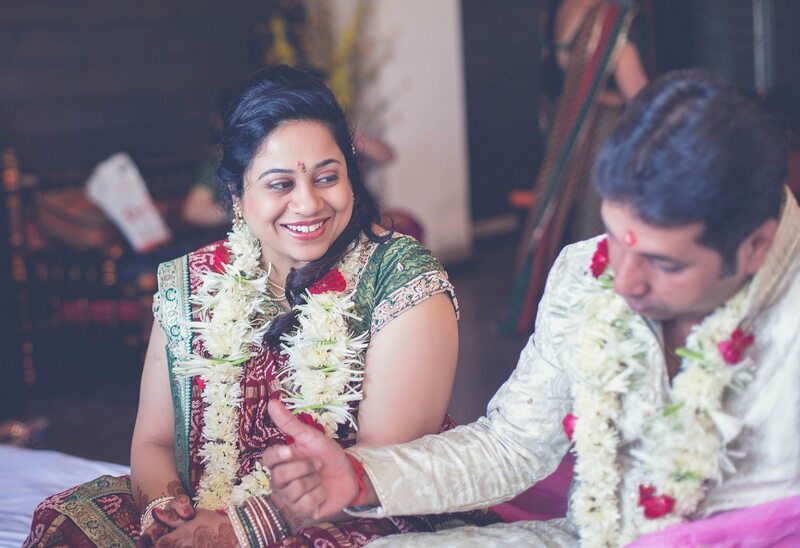 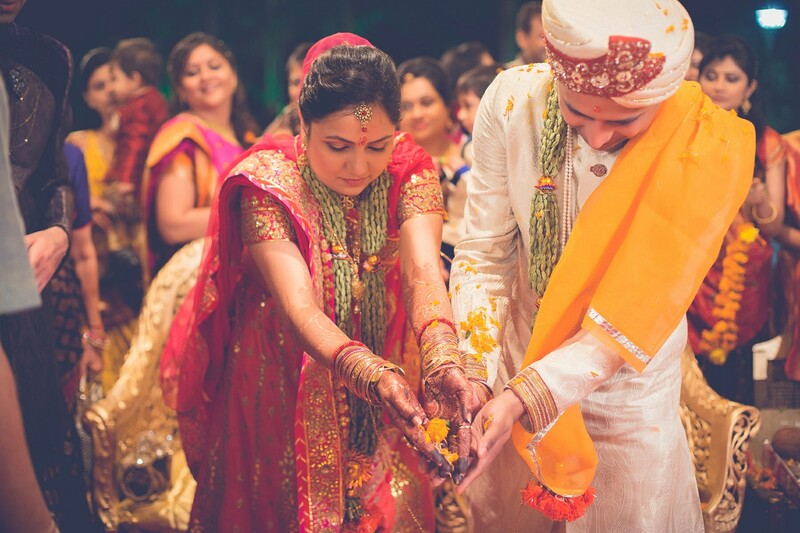 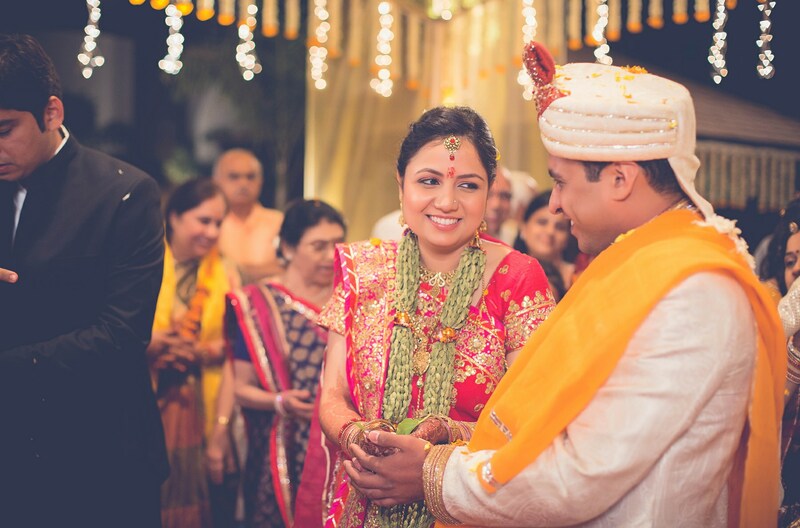 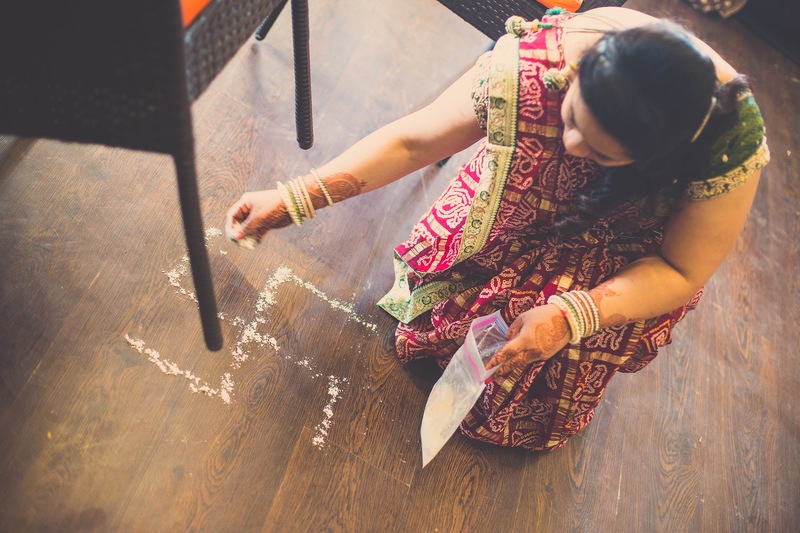 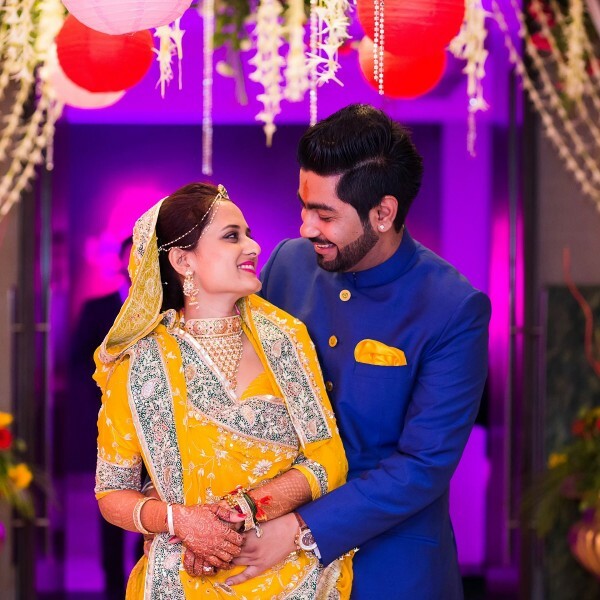 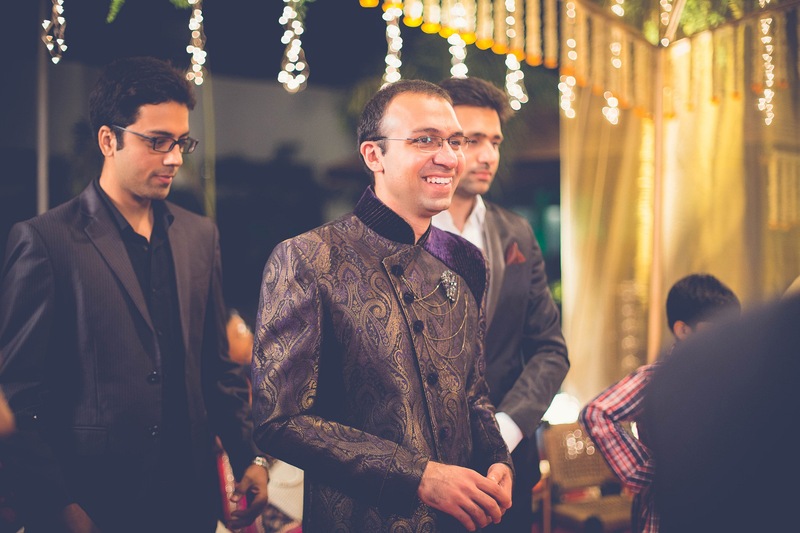 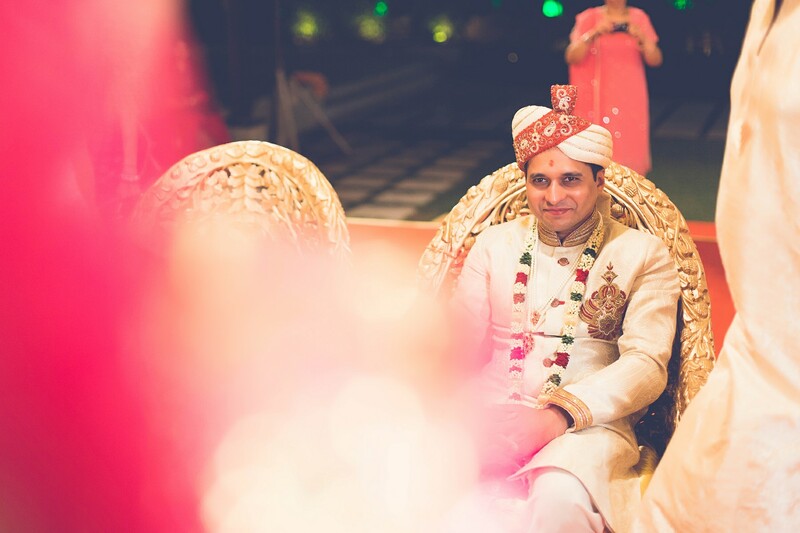 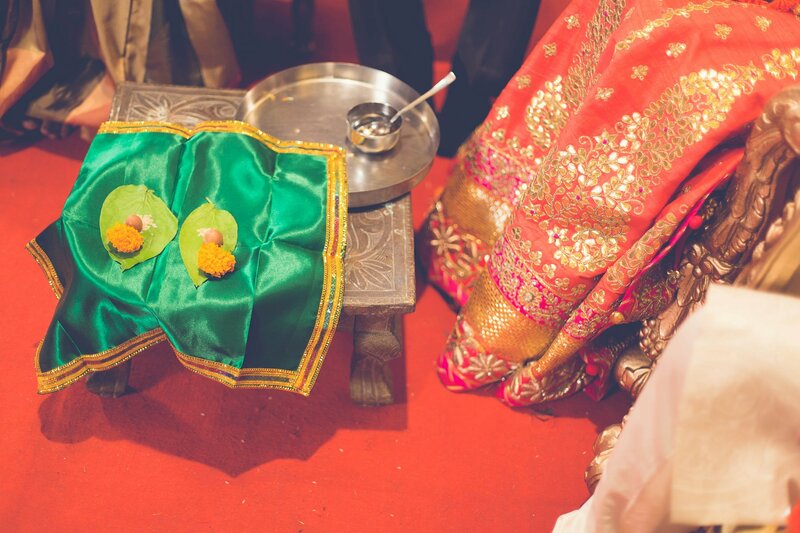 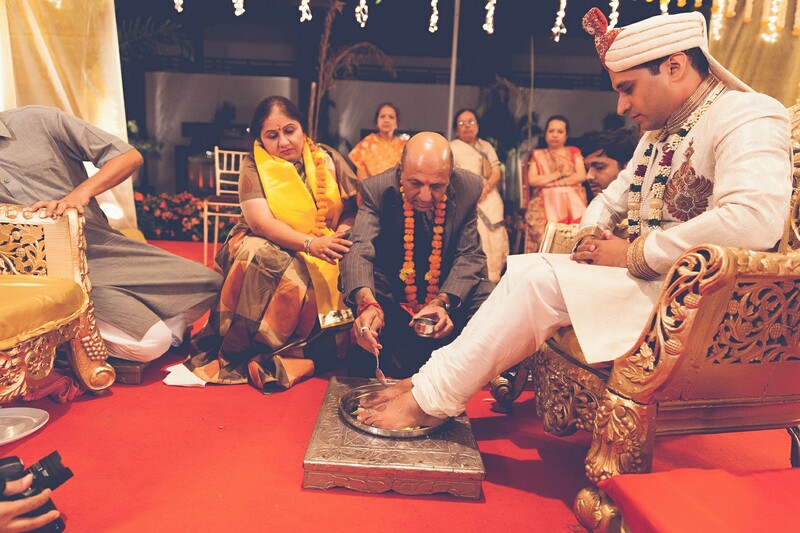 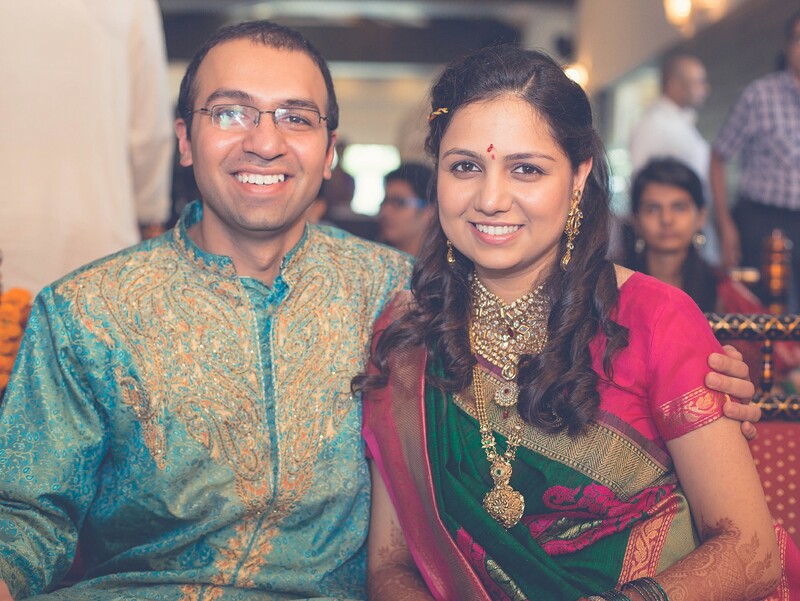 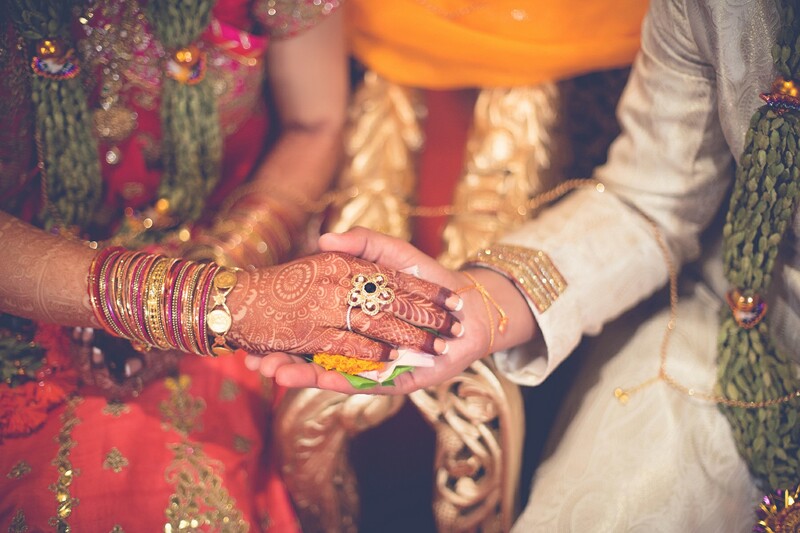 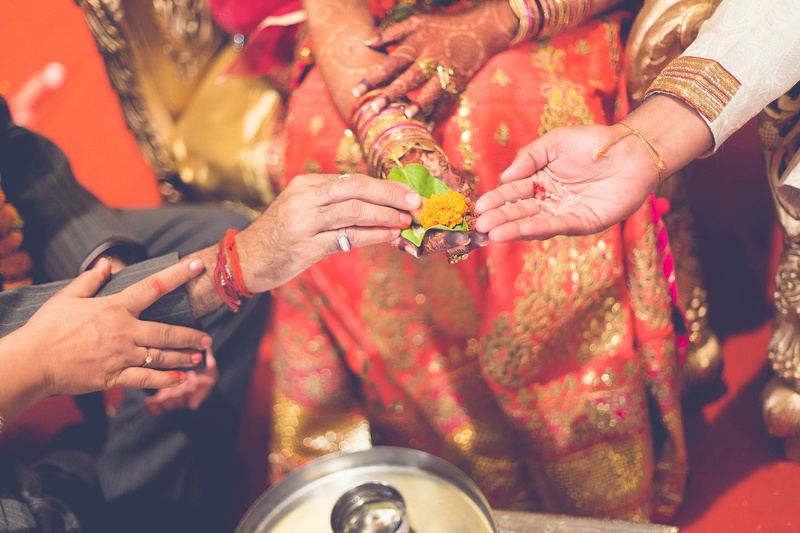 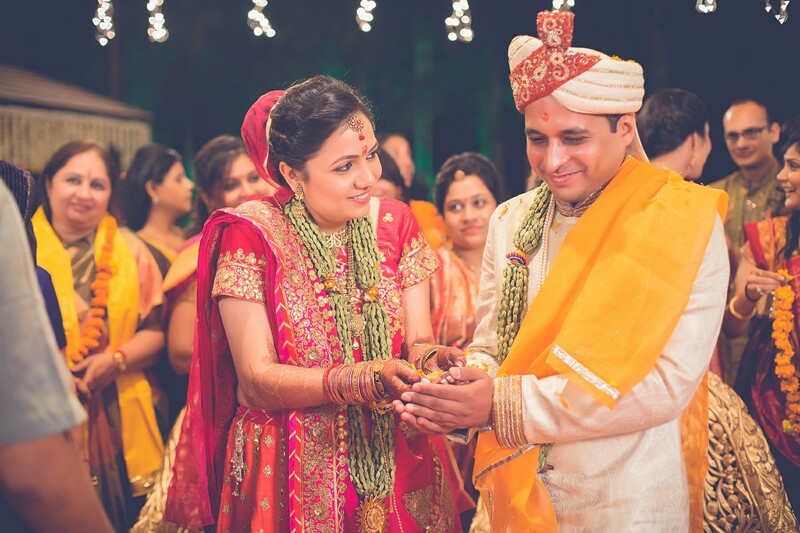 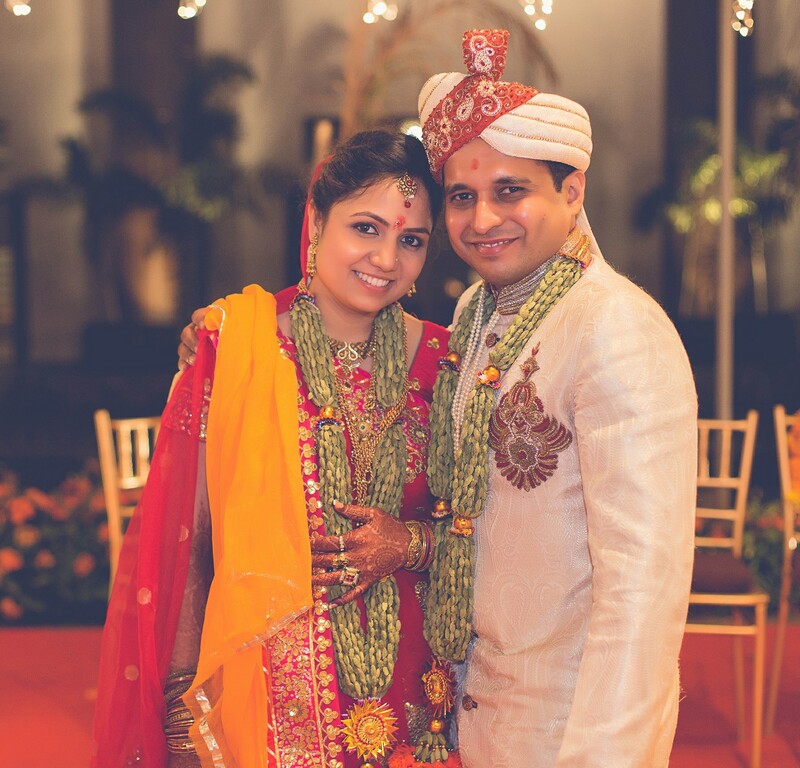 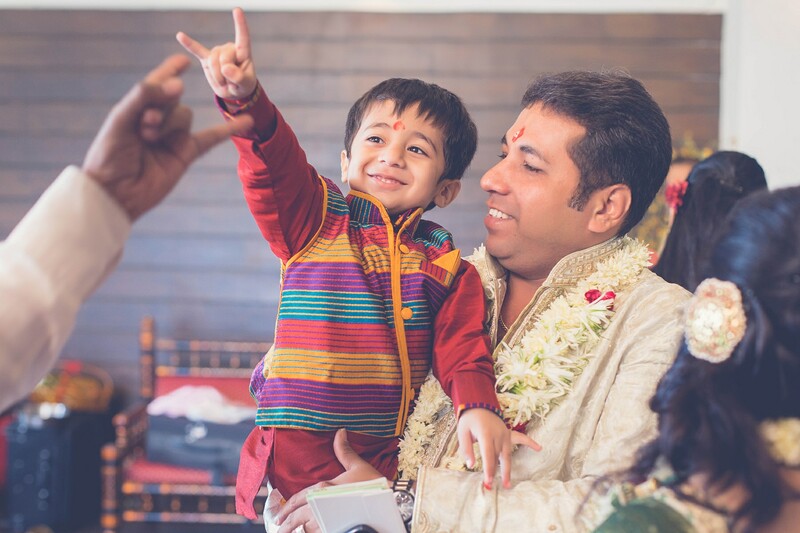 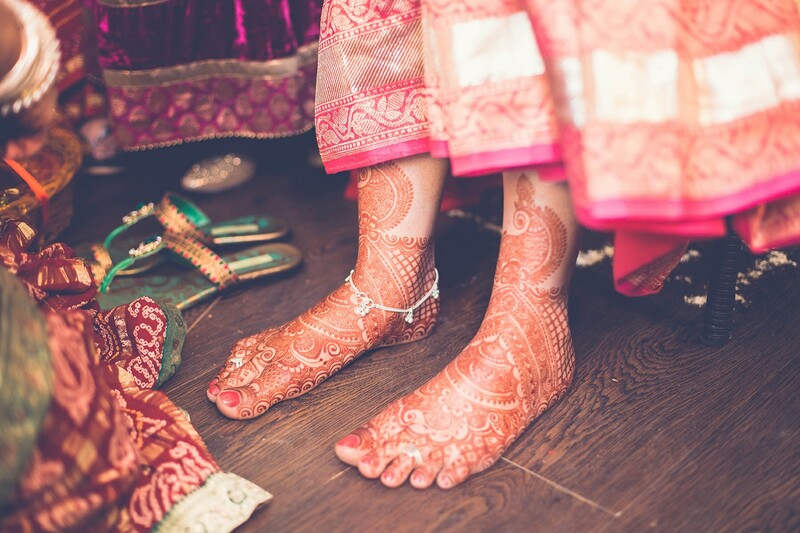 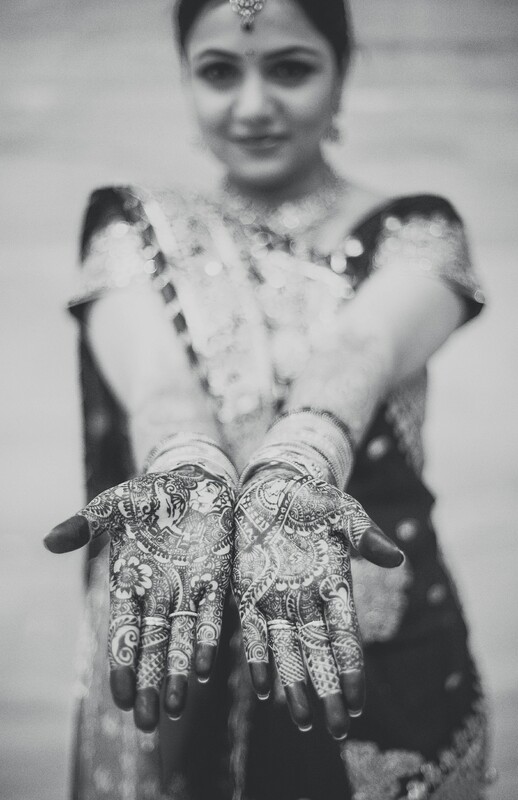 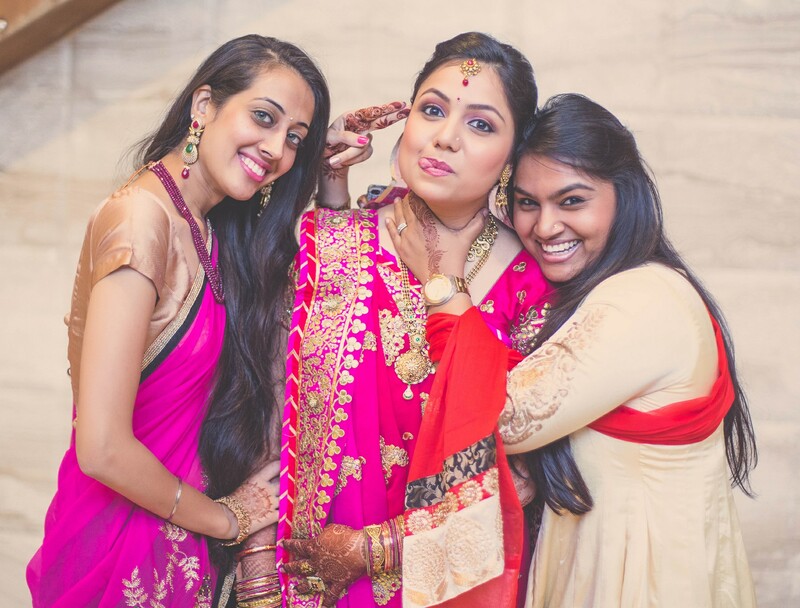 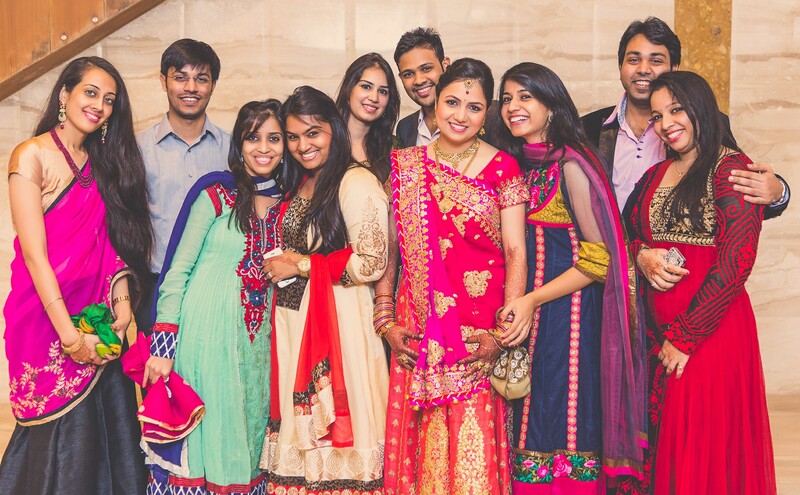 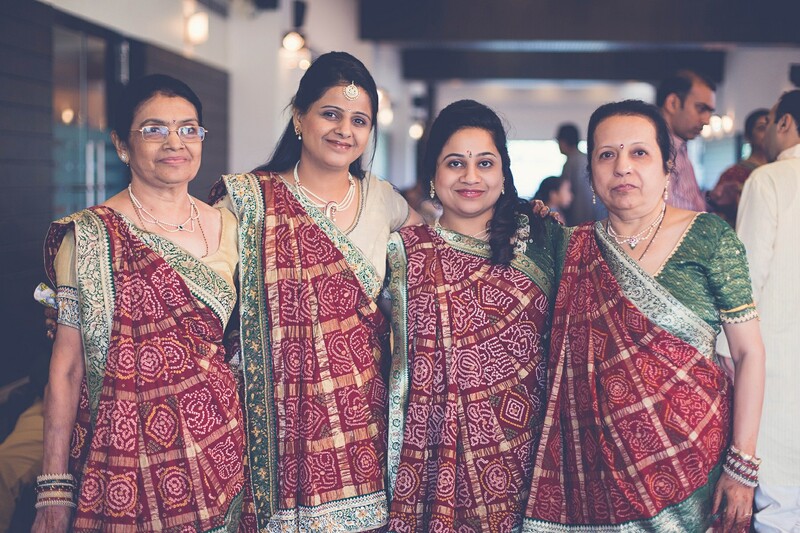 Hope you enjoy this series of Gujarati-Sindhi Vadodara wedding !